Jobscience Staffing is an integrated sales, recruiting and back office management suite for staffing firms of all sizes. New clients are automatically converted to job orders to ensure faster job placements, and users can take advantage of Jobscience Staffing’s search functionality to find candidates in internal databases, search engines, job boards, social media sites, and more. Job listings can be branded to look like the rest of any client website. The system can sort through different types of resumes to present an infographic-like candidate profile, called a jCard, with separate tables for employment history, education, recommendations, and more. Once a candidate is chosen, Jobscience Staffing provides forms for offer letters and onboarding that can all be filled out and signed digitally. Users have access to more than 50 detailed and shareable reports, or they can create their own. 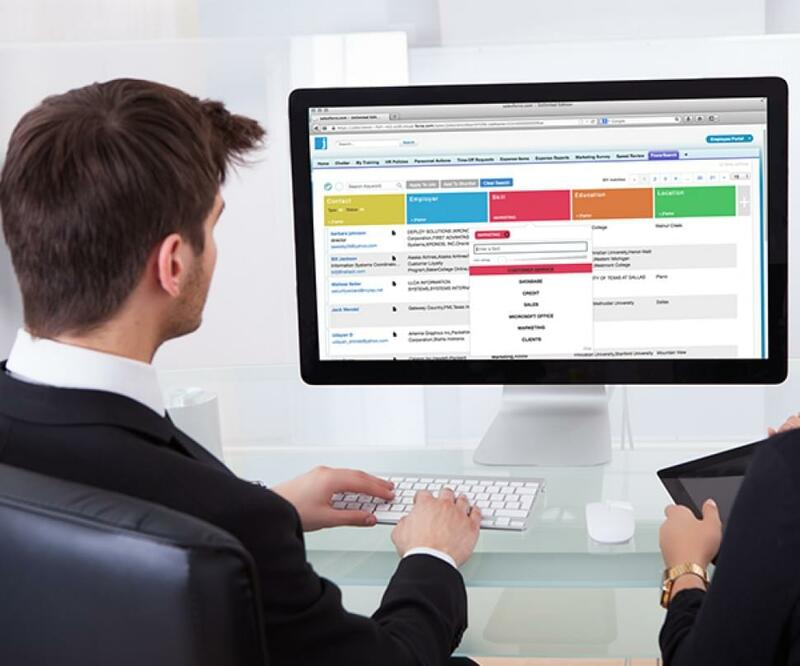 Jobscience Staffing is Web-based and native to Salesforce.com for easy access and disaster recovery, and is integrated with Salesforce1 Mobile for mobile access. Have questions about JobScience? Want to find out more about recruitment software solutions? Call, click, or email to speak with an unbiased Technology Advisor for a no-cost, no-obligation consultation on your unique requirements. Learn everything you need to know about Jobscience Recruiting and Staffing Software. Our experts will reach out to you shortly.